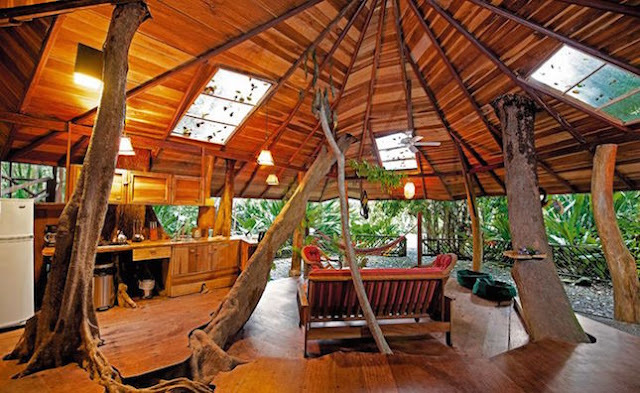 Ever wanted to sleep in a tree house? What about an igloo? It’s pretty clear that travel these days can get a bit monotonous — land, arrive at hotel, unpack, go to the beach, eat at said hotel, sleep and repeat. That’s why we’ve rounded up some extravagant travel accommodations that will scare, excite and amaze you. From haunted ships to underground caves to floating rooms, we’ve found 11 out-of-this-world hotels that are a little bit luxury and a little bit crazy. So get ready for a stay that will blow your mind. If you’re in the mood to explore the desert, head to this 18-acre “nomadic hotel” in Marfa, Texas. 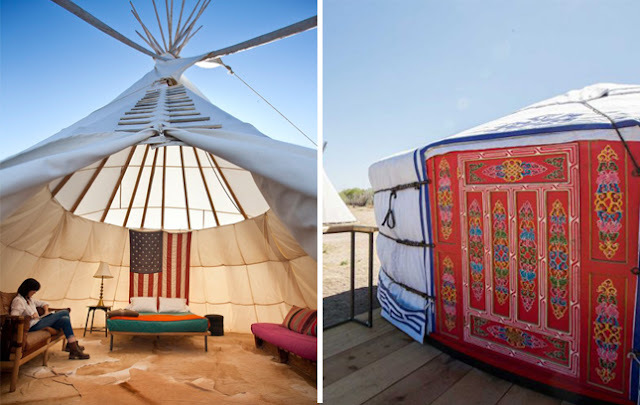 Choose to stay in a renovated trailer, a safari tent, a Sioux-style teepee or even a yurt. Have fun exploring the communal spaces, including an outdoor kitchen, a hammock grove and a reading room. At night, you can venture into the desert and marvel at the canopy of stars. You can mark “stay in a cave” off your bucket list with a trip to Turkey. 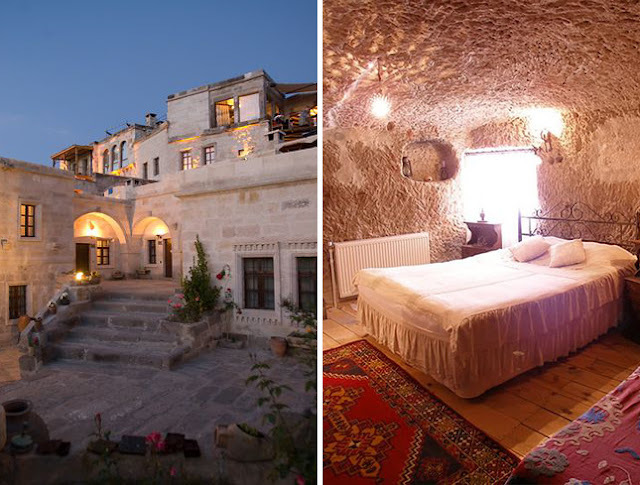 The suites at the Kelebek have surprisingly spacious cave bedrooms that are accented with locally made fabrics and hand-crafted furniture. One of the building’s caves has been turned into a luxurious Turkish bath, complete with saunas and amazing marble finishes. Permanently docked in Long Beach, California, the Queen Mary had a long history as a world-class ocean liner, making her maiden voyage in 1936. 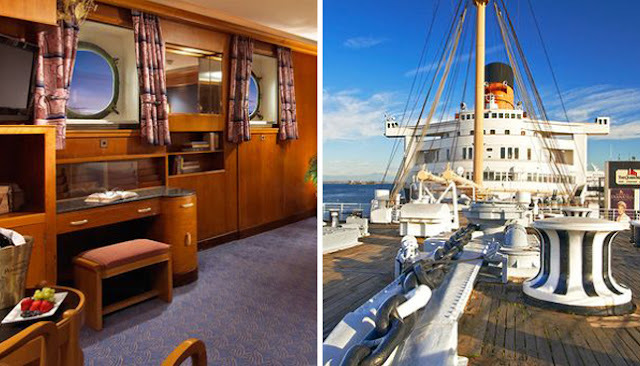 Stay in one of the 346 original first-class staterooms and experience what it was like to travel in style back in the ’30s and ’40s. Just look out for one of the many ghosts that are said to haunt the ship’s hull. High in the Swiss Alps in the village of Les Cerniers, Whitepod is comprised of individual pods heated by wood-burning stoves. With the goal of keeping the Swiss Alps pristine, Whitepod is the epitome of ecotourism, and the perfect escape for anyone looking to get away from noisy, busy city life. Built into the limestone cliffs of Negril, Jamaica, The Caves features 12 cliffside rooms with views that are not ideal for those with acrophobia. The Caves’ onsite restaurant offers amazing different settings, from an oceanfront gazebo to a stone table at the cliff’s edge or even inside a private, candlelit cave. 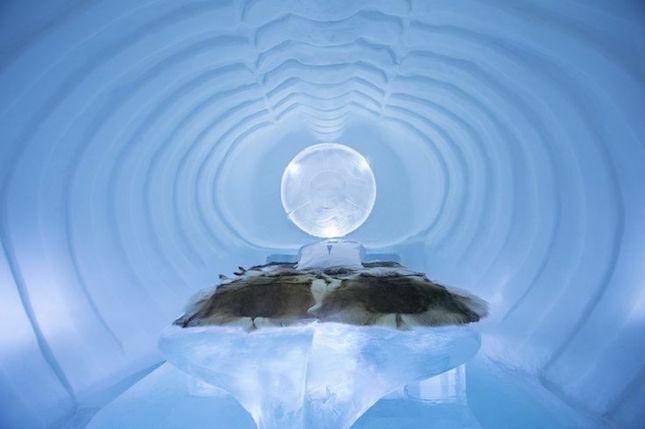 The world’s first hotel built of ice and snow, the ICEHOTEL is located in a small village in northern Sweden. A living work of art, the hotel is constructed every year between November and December and is open to the public between December and April. At the end of the season, the hotel melts and the ice returns to where it began, the Torne River. The ice rooms, at a standard -5 degrees, come with fur blankets and a “survival course” so you stay safe and warm. Built in and around a 100-year-old Sangrillo tree, the Tree House Lodge is filled with sustainable, hand-carved furniture and gorgeous birds of paradise flowers. Stroll across the suspension bridge to your private bungalow in the trees and immerse yourself in the Costa Rican jungle. The perfect combination of retro and modern, Autocamp offers visitors a chance to stay in one of 5 beautifully renovated vintage Airstreams. 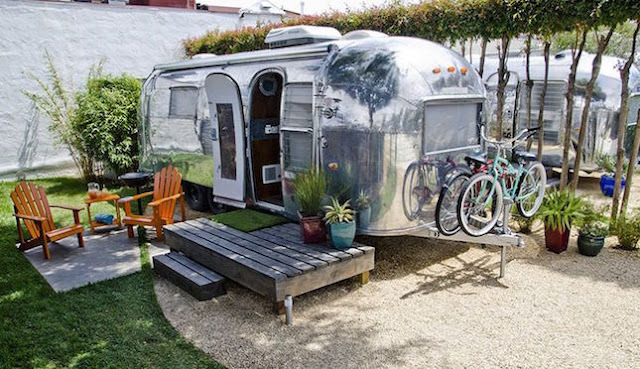 Located just a 5-minute bike ride from downtown Santa Barbara, Autocamp is also coming soon to San Francisco, Los Angeles and Ventura Beach. Threatened by rising sea levels, the Maldives won’t be around forever. But with 33 intimate overwater suites like the ones at Cocoa Island, we hope they stick around long enough for us to get there. 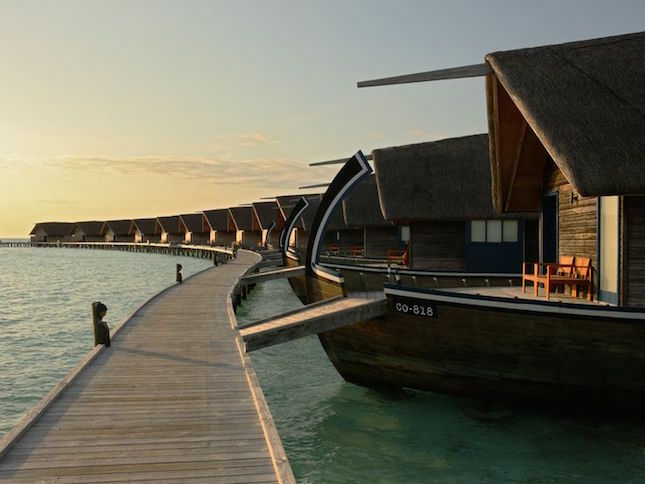 Walk onto your own suite inspired by the local dhoni boats, and then slip right into the lagoon from your private terrace. Built in 1851, the Liberty Hotel was once known as the Charles Street Jail and home to Boston’s worst criminals for 120 years. 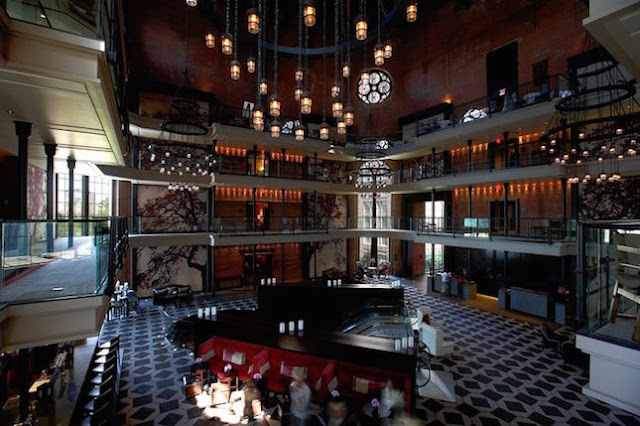 But after a $150 million renovation, the Liberty Hotel has turned into one of the city’s most luxurious accommodations. Ask the concierge for a tour to get the full lowdown on its history as a jail and who spent years within its walls. Bolivia’s Salar de Uyuni is the world’s largest salt flat and is a stunning must-see for any intrepid traveler. 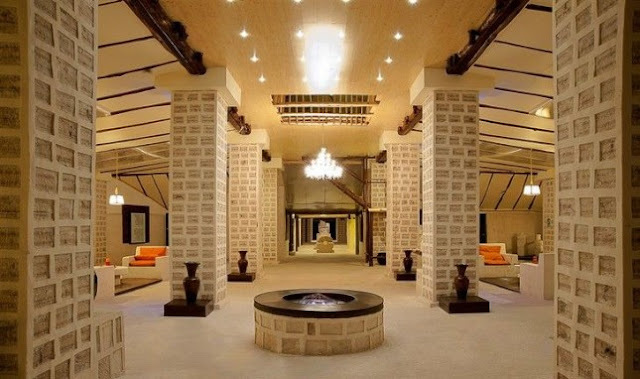 But while you’re there, be sure to book a stay at the Palacio de Sal, which takes advantage of the area’s most plentiful resource: salt. Literally, everything in the hotel — from floor to ceiling — is made of salt. Don’t miss out on a cozy meal in the hotel’s dining room; it’s sure to be well seasoned.